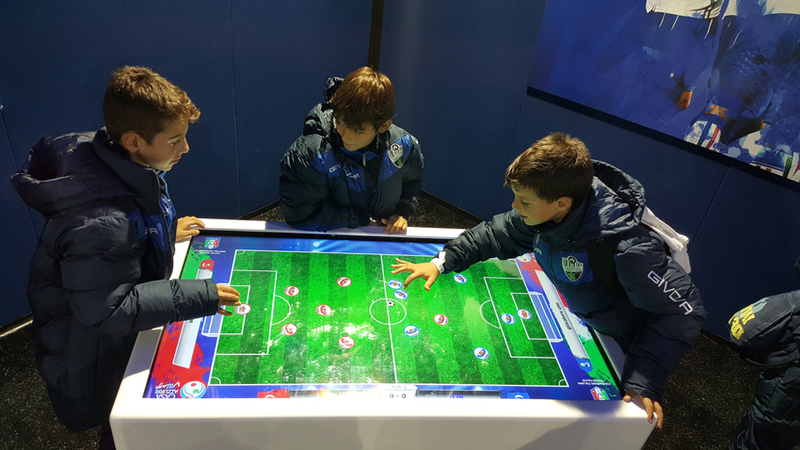 Touch Revolution introduces a new design in the range of interactive tables: C-Table. From the sleek and stylish, C-Table is a simple and functional table, designed to be placed in any recreational or professional environment: events, fairs, companies, schools, studios, shops, houses. The small size and customizable are one of the strengths of the table C-Table. 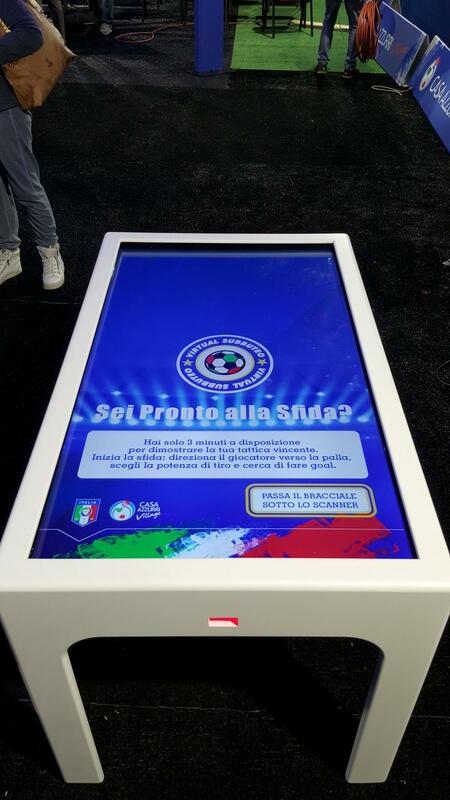 The interactive professional LCD, will let you use the table as both video screen as a touch screen of a computer. The interactivity is enabled or disabled as needed thanks to a button for easy access. With multiple sources of input, any file or device can be connected easily, allowing you to view projects, files, movies, games or whatever else your business will require professional or playful. C-Table is, like the other products in the range Touch Revolution, solid, smart, innovative and ergonomic design, with a multimedia technology that will prove to your expectations. It 's available in different customizable solutions: in version dual touch, ten touch and multitouch with 32 simultaneous touches. The touch surface may also vary from a minimum of 32 '' to a maximum of 100". Also features software and devices associated with them are customizable. As with all products Touch Revolution, we plan original and exclusive software that make your communication to the public immediately identifiable, regardless of your use, fun or informative.